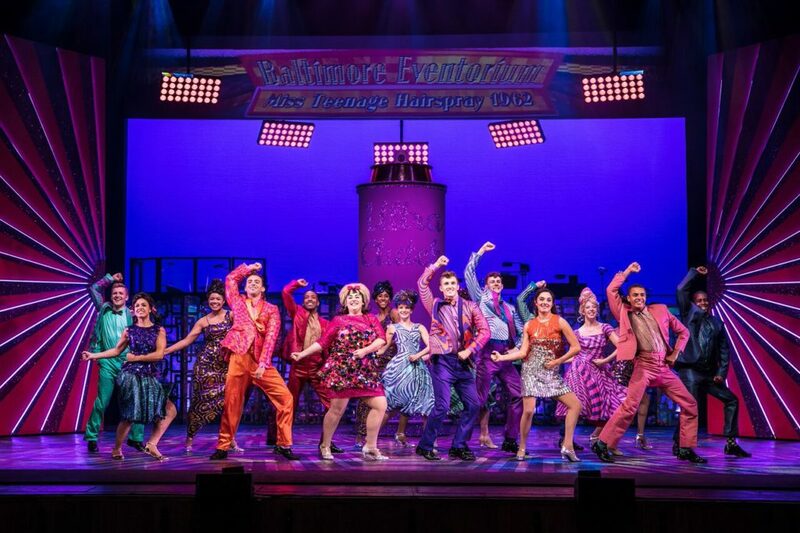 The Nicest Kids are back in town with the new tour of feel-good musical favourite, Hairspray. With big hair and a big heart, teenager Tracy Turnblad fights for what’s right after getting her spot on top TV dance programme, The Corny Collins Show. She’s determined to get fairness and freedom for all, regardless of skin colour or even weight! Making friends along the way, she helps to change Baltimore for the better in this fun show for all the family. Paul Kerryson takes the show in a different direction from previous tours and its West End stint several years back. I always admire change although some parts of the show are a little lost. At this theatre in particular the stage seems a little empty with the set they’ve created. There are small, odd moments where jokes seem to be missed or references lost, but on the whole Hairspray still has the same gleeful spirit balanced with the serious message that lies at its heart. Certain performers shine more than others, but overall it’s a strong cast, particularly vocally, with Rebecca Mendoza in the lead as Tracy. Her comic timing and acting were spot on, although her voice was a tad too nasal at points. Annalise Liard-Bailey hilarious portrayal of Penny Pingleton was backed up by some pretty amazing vocals and Layton Williams easily slotted into Seaweed’s position as the best dancer of the bunch with some jaw-dropping moves. Matt Rixon is a natural as Edna, with witty delivery and a warm character, and I Know Where I’ve Been is a real highlight with Brenda Edwards at the head. The new touring production of Hairspray is still the same bright, cheerful and optimistic show that it’s always been, but doesn’t quite live up to its former regenerations. Saying that the joy of the show always shines through and it’s a fun night for all the family, with bright costumes, catchy tunes and of course, amazing dancing. The new production of Hairspray has only just begun and will stay at the Orchard Theatre until Saturday 9th September until embarking on a UK tour until June 2018. Check out the ticket and tour information here.